The Centre for Jazz and Popular Music will present The Brunettes on August 8. No strangers to the stage, The Brunettes have teamed up to present a buffet of their favourite songs representative of all their careers as performers. 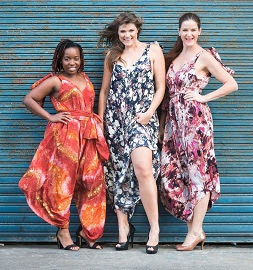 Songbirds Nosihe Zulu, Chloe Clark and Marion Loudon they join musical forces for Women’s month and deliver songs packed full of heartfelt performances on the piano with soulful harmonies, candy for the ears. They will be performing some classic tunes and they promise to deliver superb renditions of favourite standards from Marilyn Monroe, Nina Simone, Amy Wine House and Avicii. Expect refreshing harmonies and an all-round spectacular night out.